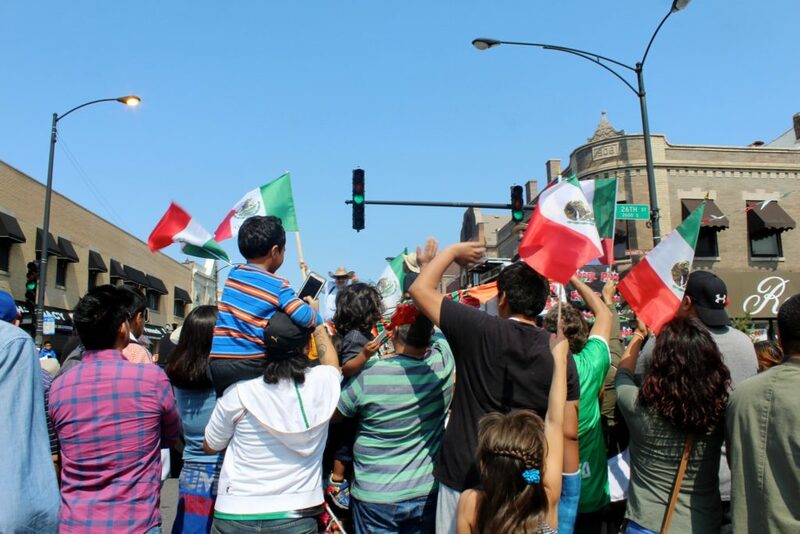 The report’s subject matter is a familiar one for its author, José Miguel Acosta-Córdova, a second-year master’s student of urban planning and policy at UIC. Acosta-Córdova was born in in Little Italy, where his family settled after emigrating from Mexico in the early 1950s. But in the sixties, the UIC campus where he now attends school was constructed. His family experienced firsthand the negative impact of urban planning on a local community when they, like many other families in their neighborhood, were forced further west. With this report, and also through the student organization he helped found, Acosta-Córdova shows how urban planners might begin to solve some of the same problems their discipline often creates. In addition to recruiting Latinx students to the field of urban planning, LPODER aims to educate fellow urban planning majors on planning topics related to the Latinx population. Over its first two years, LPODER has organized panel discussions and film screenings on topics such as public transit and gentrification, as well as the African diaspora in Latin America. The report’s authors speculate that the low levels of high school and college graduation may be related to the high percentage of Latinx residents who were born outside the U.S. But the lack of Latinx teachers in CPS may also contribute to the trend. During the 2015-2016 school year, Latinx students made up close to half of the CPS student body, but the number of Latinx teachers in CPS was only seventeen percent of the total. Students of color in particular do better in school when they have teachers of the same ethnicity, as the IRRPP reported in its State of Racial Justice report earlier this year. The report also brings out other puzzling questions: why West Lawn has unusually high median income and homeownership rates despite average education levels, and why Little Village has one of the lowest median incomes for Latinx people despite having the second highest grossing commercial corridor in the city, just behind the Magnificent Mile. Ricardo Estrada, president and CEO of Metropolitan Family Services, the nonprofit charitable organization that commissioned the report, says these are promising areas for future study. In the report, Acosta-Córdova calls for policymakers to enact policies that promote early childhood education, high school completion, higher education, and job retraining programs for high-paying jobs in existing and emerging industries for Latinx residents. The report also recommends pursuing policies that promote home and business ownership and improving health insurance rates among Latinx residents. In many cases, this is already the work of organizations like LPODER and Metropolitan Family Services, which are connected to the report’s creation and are from within the communities they are trying to change. Correction: A previous version of this article incorrectly reported that Acosta-Córdova grew up in the Little Italy neighborhood. He was born there, but did not grow up there.